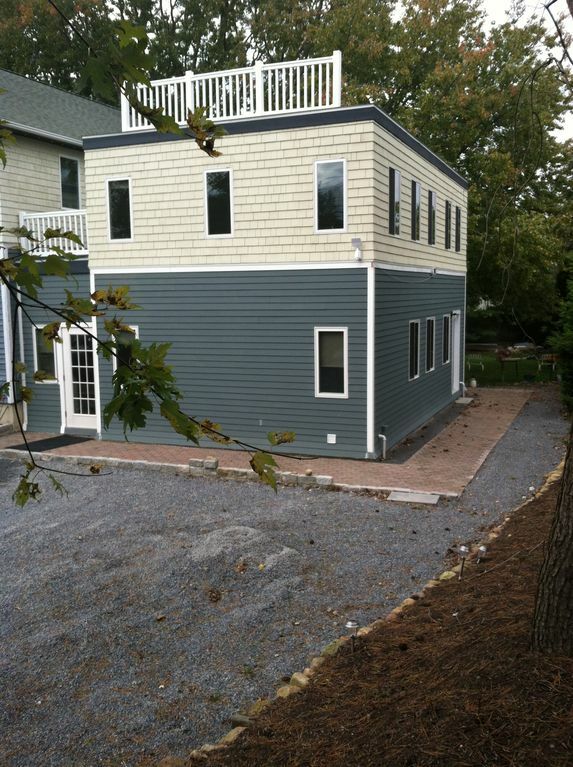 Two story,1250 sq ft rental unit: contains one full bath with jacuzzi tub ,plus powder room (half bath) downstairs. Has kitchen,BBQ,washer dryer,queen bed internet,cable,living and dining area. Close to all facilities beach ,pool ,golf,shopping etc. Large yard with long chairs on patio. Available year round or seasonal, close to town and dock area, walk to yacht club, gosmans restaurant,quiet and private,suitable for single or couple.